A fire extinguishers can be your first line of defence before a fire can really take hold. Knowing the right equipment to use and having it available can make the difference between some fire damage or a complete loss. There are several types of extinguishes available for consumers to buy. Understanding the purpose of its design is very important. 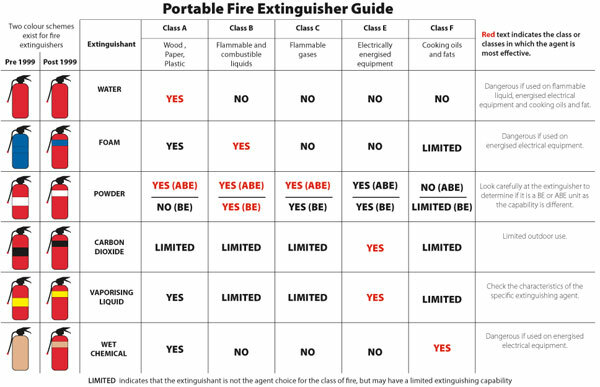 Click on the below chart to show the correct extinguisher type for the appropriate fire class.